TORONTO – Sept. 30, 2015 – SmoothPay continues to innovate in mobile payment in the Canadian marketplace, revealing today it added PayPal as a payment option to the SmoothPay app and apps “Powered by SmoothPay”. “SmoothPay is proud to collaborate with PayPal, a world leader in online and mobile payments,” said SmoothPay CEO Brian Deck. SmoothPay users now have the ability to pay with PayPal while instantly collecting and redeeming loyalty rewards within the SmoothPay app and apps such as Balzac’s Coffee Roasters “Powered by SmoothPay”. Users simply add PayPal as a payment method and make payments in-store and in-app without having to enter payment details for each transaction. 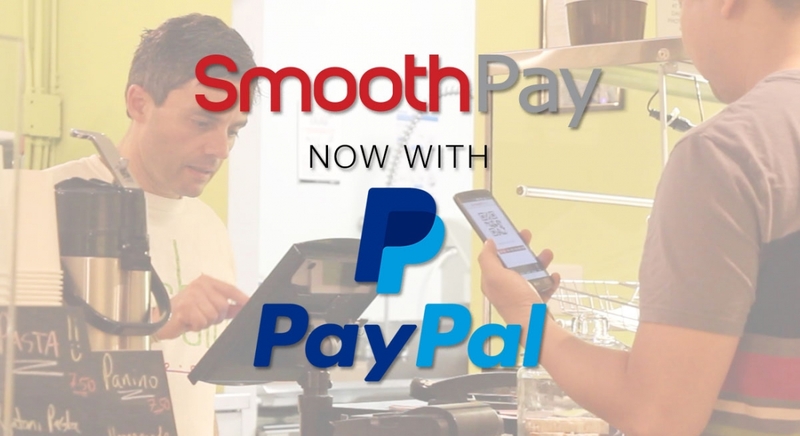 The addition of PayPal will deliver more choice and greater convenience to SmoothPay users making purchases at their favourite SmoothPay cafes, restaurants or retail locations. PayPal has more than six million active registered accounts in Canada. With the ubiquity of smartphones in Canada – 68% of Canadians own a smartphone – in-store mobile payments are becoming more popular. And with 130 million memberships to loyalty programs nationwide – translating to 3.68 memberships per person – it’s clear Canadians love their loyalty programs. SmoothPay is a mobile payment platform that combines payments, offers, loyalty and customer engagement in a single smartphone app transaction. SmoothPay is available for free download on both iPhone and Android devices. Customers use SmoothPay “in-app” or “in-store” by presenting the pay screen to an integrated POS system or dedicated terminal. Visit http://www.smoothpay.com for more information and follow us on Twitter, Facebook, YouTube, Instagram, LinkedIn and our SmoothPay blog.